14 gauge steel top with formed channel on all 4 sides. 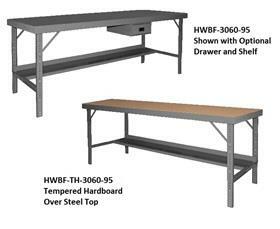 HWBF-TH models are 14 gauge steel top covered with durable tempered hardboard. Easy assembly using fastener provided. Provisions for optional shelf and drawer Model H177-Drawer-95 (see Related Items tab). Bench height can be adjusted from 28" to 43" above the ground. Photo of HWBF-3060-95 shown with Optional Drawer and Optional Shelf. 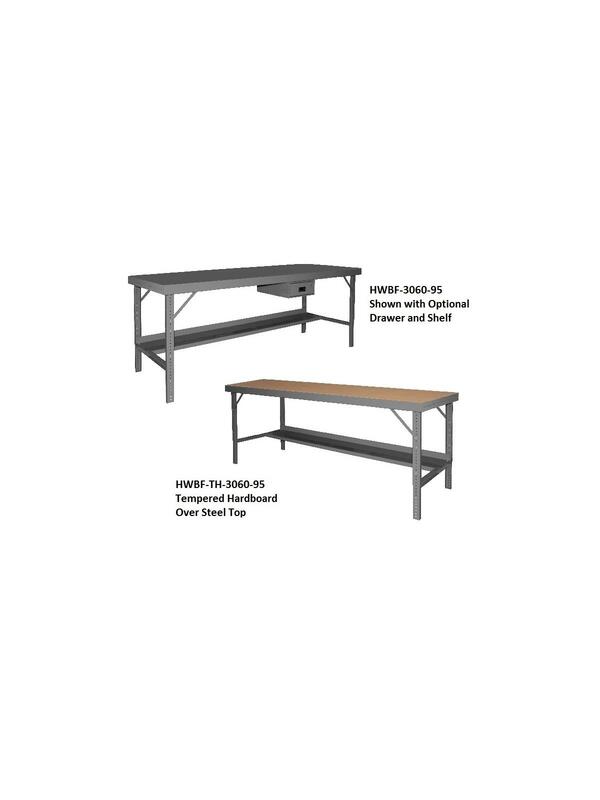 See Related Items tab for Drawer for Durham Work Benches and Optional Shelves for Ergonomic Workbenches.